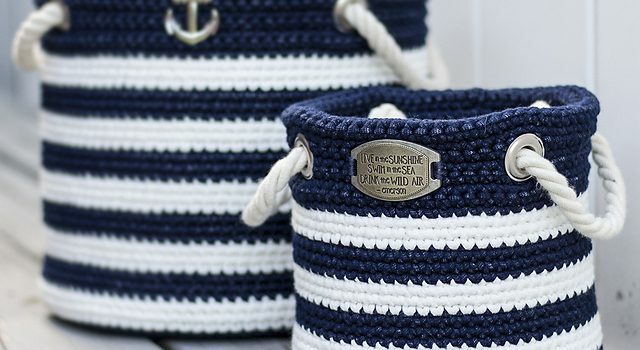 Learn a brilliant method to make these adorable and sturdy nautical baskets without all the wrist pain. This crochet basket pattern has so many advantages comparing the some others and we’re sure that many of you will appreciate them. Nautical Basket crochet pattern by Rebecca Langford is super easy and beginner friendly and the baskets looks so professional and they are sturdy. Hook: H (5.0mm) and G (4.25mm). Because we’re using a small hook for a chunky yarn, make sure to protect your hands by using hooks with padded grips. I absolutely love my Clover Amour hooks! 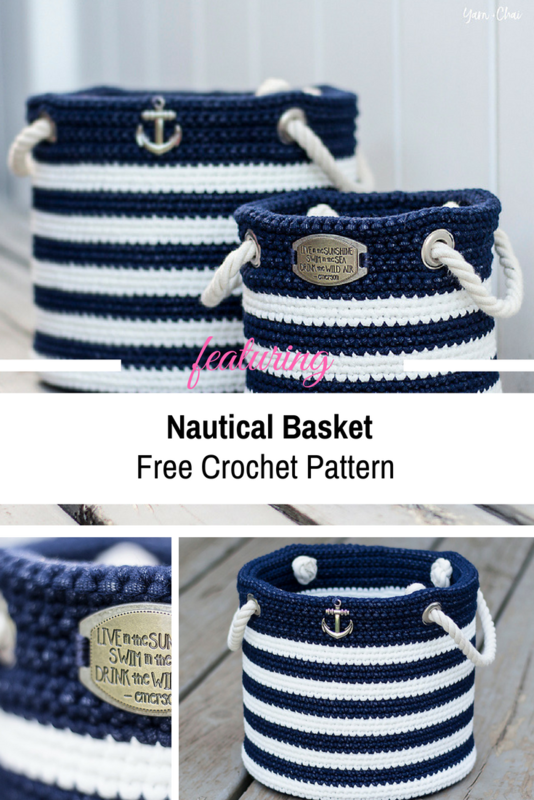 Check out the Super Easy Nautical Baskets Free Crochet Pattern at: Yarn + Chai.